Flowers of Crete on Facebook: click on the Facebook button to follow or 'like' us. For plant identification help try Cretan flora. 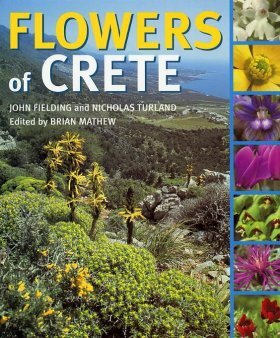 Please click here to read the aims of Flowers of Crete. Holidays for 2019 with Flowers of Crete are now available. These include flower-finding in March, late orchids in May and autumn bulbs in November. More information about our trips on our holidays page. 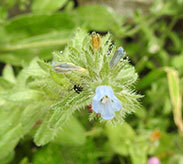 This much smaller relative of the more flamboyant Echium angustifolium is easily overlooked. As its name implies it does have much smaller pale blue to white flowers. Widespread on Crete it is often overlooked and it can be found flowering at lower altitudes, in rocky places and coastal areas throughout spring. Oliver Rackham 'commemorative symposium': to celebrate the life of landscape historian and author of The Making of the Cretan Landscape, who died last year, there was a commemorative symposium in the UK (Cambridge) in August 2016. More in news. Bellevalia juliana: a new flower for Crete, named after Flowers of Crete founder, Julia Jones. More in news. Photoset of Bellevalia juliana by Stephen Lenton on Facebook here. 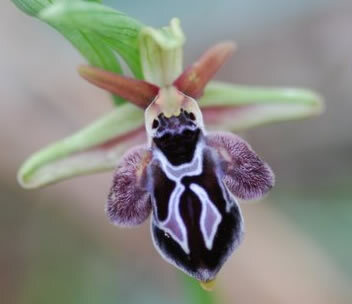 Conserving the Cretan Lizard Orchid. Himantoglossum samariense (right) is one of Crete's most elusive and threatened plants. 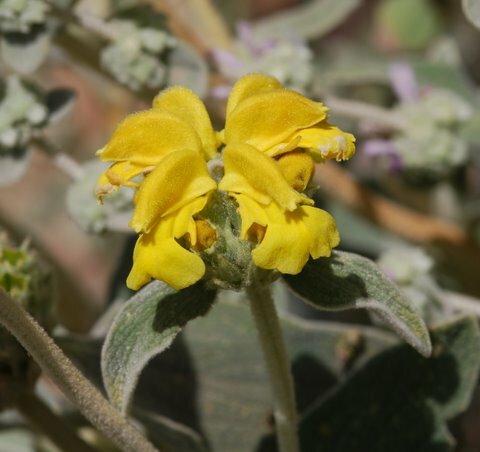 Julia Jones from Flowers of Crete describes recent efforts to find and protect it - read the full story here. The Cretan palm Phoenix theophrastii is found only on the coast of Crete and south-western Turkey, and on Crete is best known from Vai and Préveli. 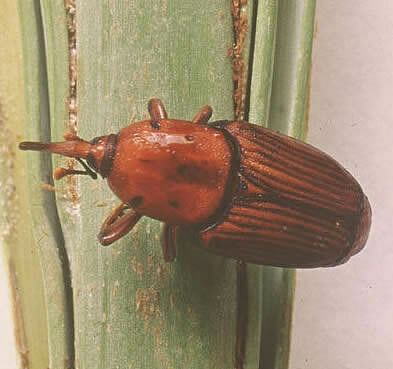 The red palm weevil, sadly sometimes imported on cultivated palm species, is a serious threat to the near-endemic Cretan palm and every effort needs to be taken to try to stop its progress. You can help by keeping an eye out of the weevil and its grubs and reporting news to Flowers of Crete. More here.